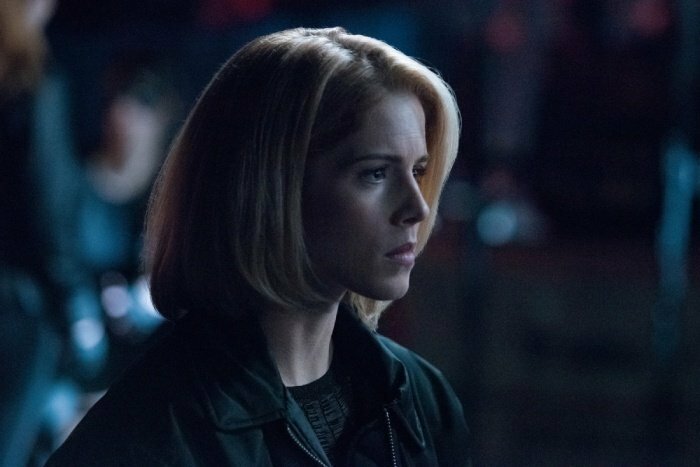 Arrow fans might be feeling pretty glum of late due to the news that the show is set to end after its shortened eighth season this fall. However, there’s still plenty of highlights to look forward to before the Emerald Archer fires his last arrow. 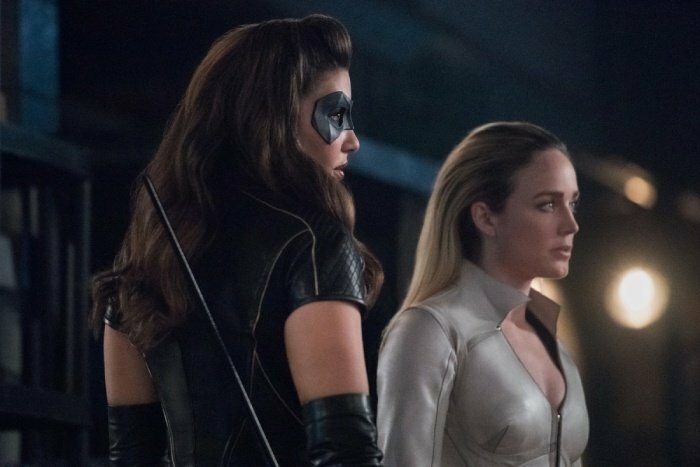 First of all, we have an awesome all-female team-up episode to enjoy next week, which features the return of a fan favorite character. 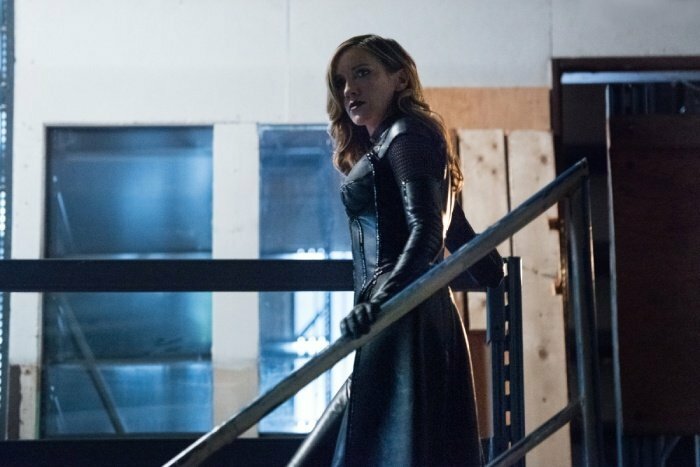 Season 7’s eighteenth episode is titled “Lost Canary” and will see Laurel Lance/Black Siren (Katie Cassidy Rodgers) join forces with not only Dinah Drake/Black Canary (Juliana Harkavy) but also guest star Sara Lance/White Canary (Caity Lotz), taking a break from Legends of Tomorrow‘s Waverider to return to her hometown of Star City. 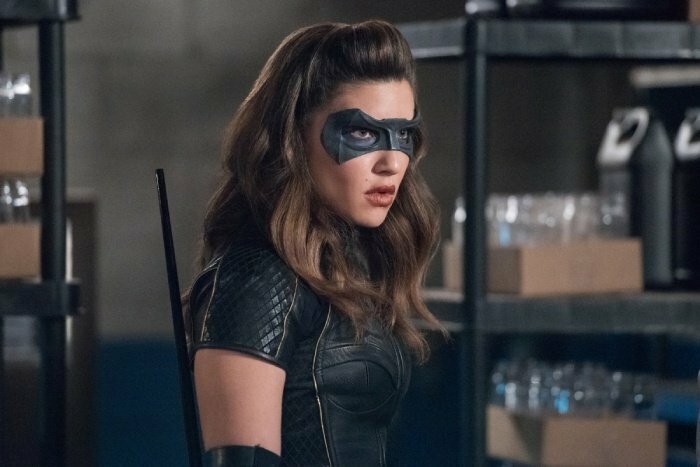 Though we believe the series can’t use the team name on screen, due to the upcoming movie starring Margot Robbie, showrunner Beth Schwartz has been upfront about the trio effectively being Arrow‘s own version of the Birds of Prey. 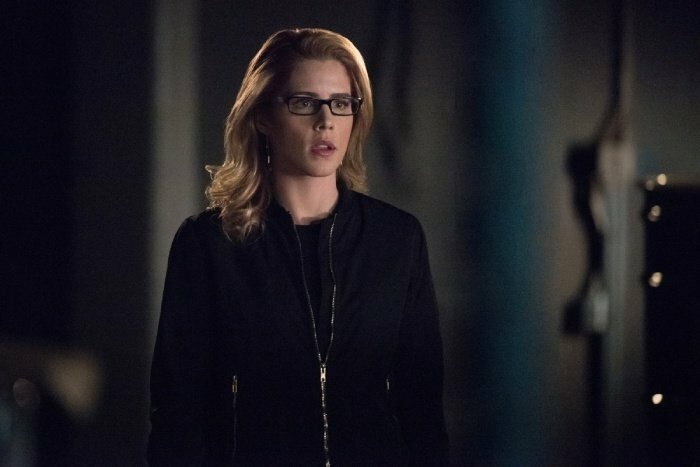 Felicity Smoak will be part of the gang, too, filling in the Oracle role. 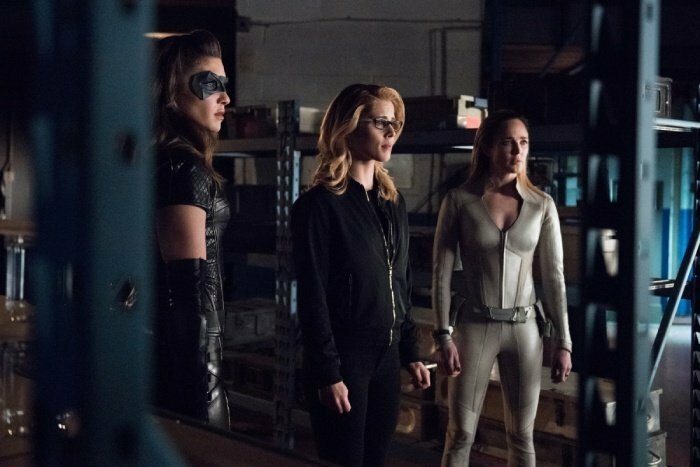 The promo images above showcase just how based around the team the episode will be, as not a single male character is featured. 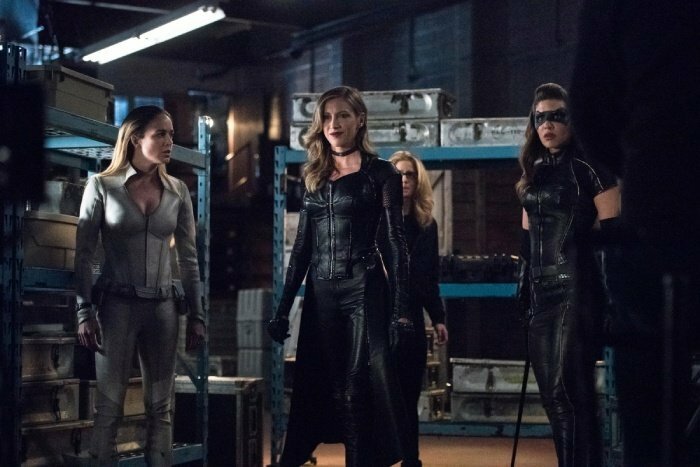 Many of the photos tease a confrontation between Sara, Dinah, Felicity and Laurel as they no doubt try to appeal to the latter’s good side. 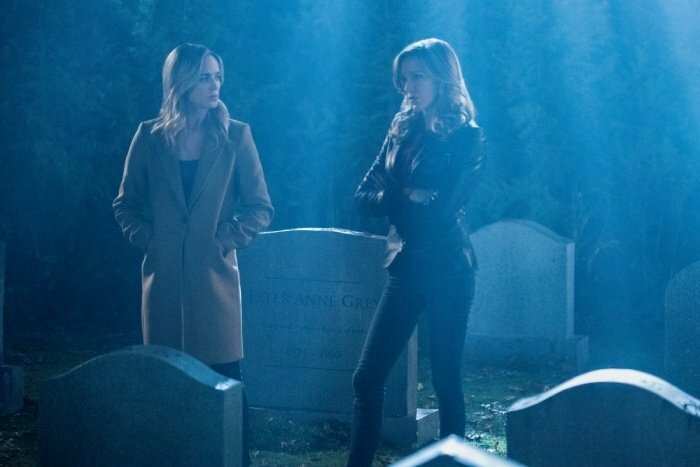 The two Lance sisters (albeit from different universes) also look to have a heart-to-heart at Quentin’s grave. 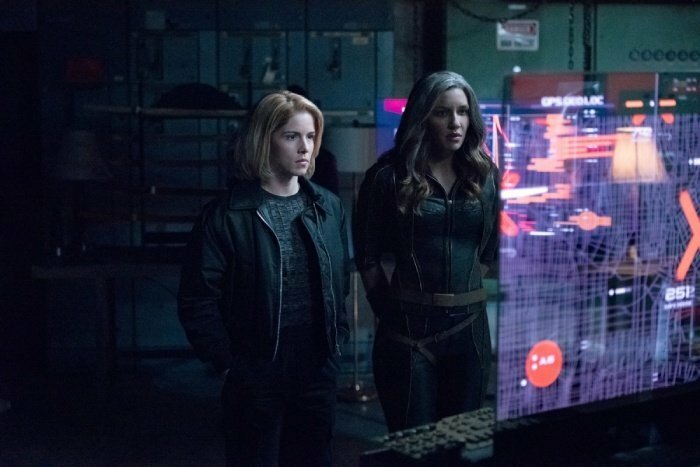 Finally, the flash-forwards will also be suitably female-centric, as future Felicity reunites with her daughter Mia. 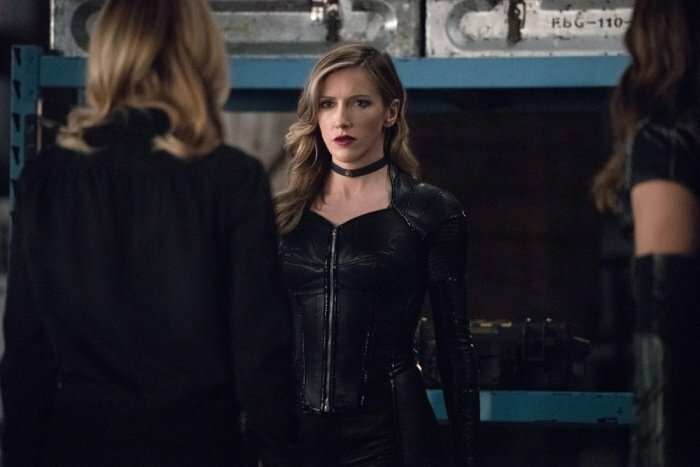 And here’s the synopsis, which tells us the episode will all be about the redemption of Laurel Lance Mk. 2. 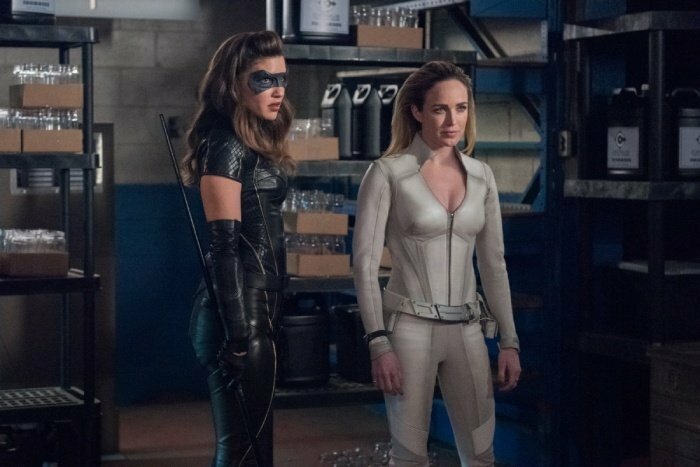 BIRDS OF PREY; CAITY LOTZ GUEST STARS — After being accused of murder and having her criminal past exposed, Laurel (Katie Cassidy) goes full Black Siren and teams up with an old criminal acquaintance, Shadow Thief (guest star Carmel Amit), to go on a crime spree around Star City. 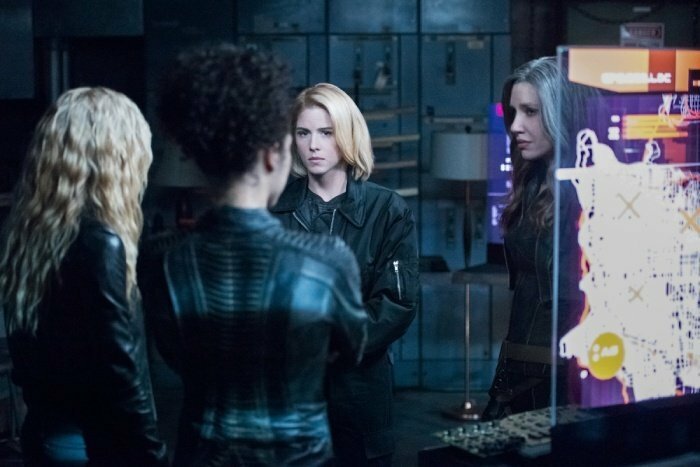 While Dinah (Juliana Harkavy) aims to bring Laurel in, Felicity (Emily Bett Rickards) refuses to give up on her friend and tries everything to get through to her, even summoning Sara Lance (guest star Caity Lotz) for help. 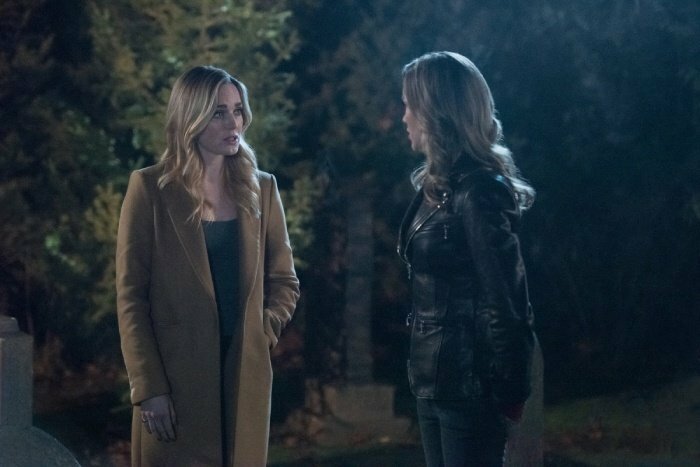 However, Laurel rebuffs all her efforts, forcing the former friends to face off against each other. 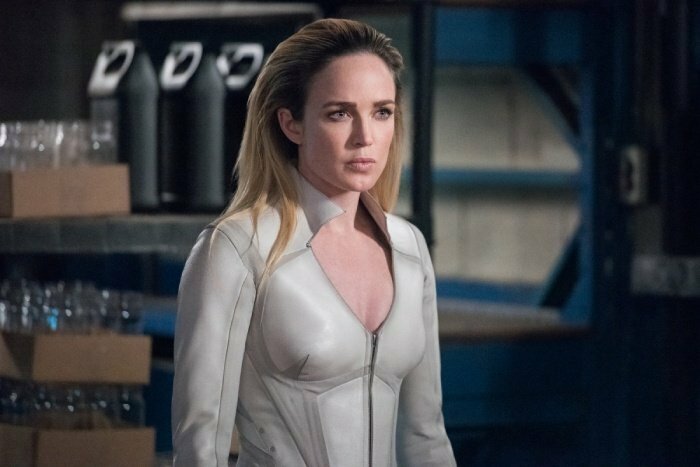 Kristin Windell directed the episode written by Jill Blankenship & Elisa Delson. 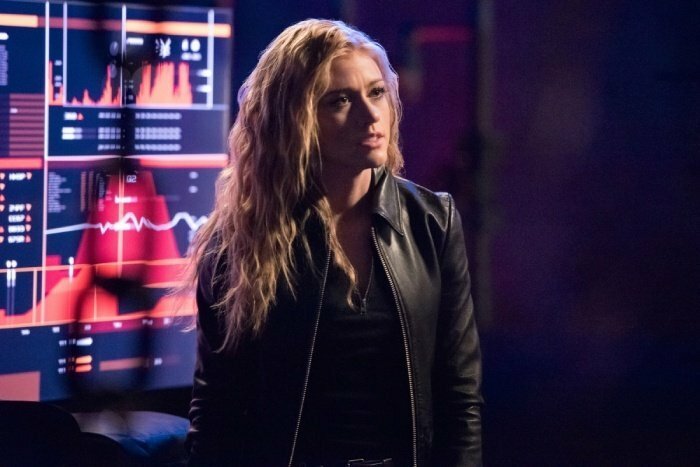 Arrow 7×18 “Lost Canary” airs on The CW next Monday, April 15th.